Soon to be the Most Affordable, Lightweight and Compact Total Station on the Market! 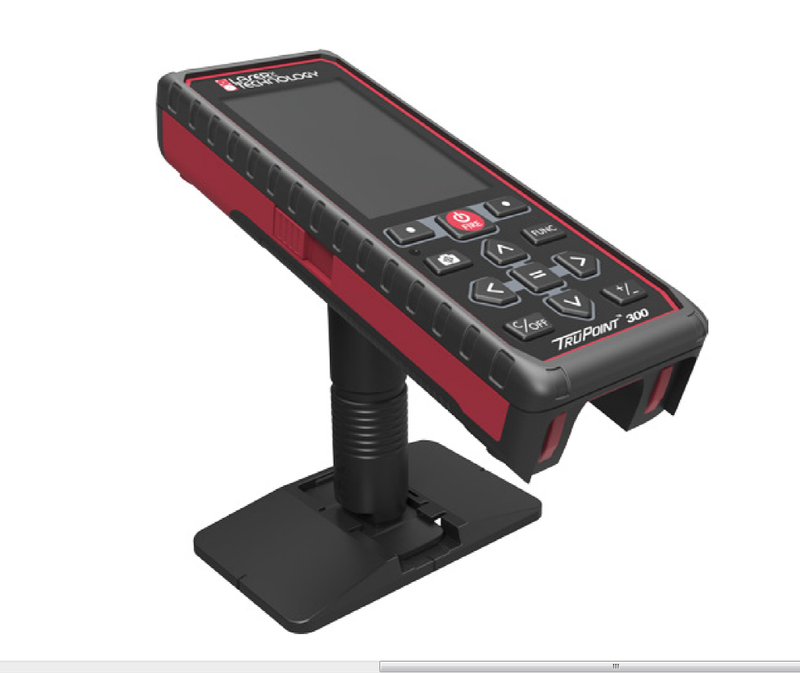 The soon-to-be released TruPoint 300 will be the laser measurement tool that professionals worldwide will want to have in their hands. This ground-breaking product is a small, lightweight and compact total station ideal for use in applications such as Crash & Crime Scene Investigation, GIS, Surveying, Construction, Electric Utilities and many more. The TruPoint 300 total station produces survey-grade accuracy, offers onboard data storage and calculations and costs thousands less than total stations. It measures distance, inclination and horizontal angles for X, Y, Z measurements. The improved data collection workflow saves time and accurately captures measurements up to 300 meters. The TruPoint 300 total station will be the go-to tool for collecting the measurements you need quickly, easily, and safely. No need to carry around multiple, heavy tools anymore. Get ready to join in the next step of the world of technology with the TruPoint 300 – the all-in-one measurement solution. Obtains missing line measurements using MapStar® Angle Technology. Communication: Both Bluetooth(R) Smart and WIFI connectivity allow for seamless communication to computers and smart devices. 4x Zoom Camera: High quality, accurate, easy to see the target aiming location every single time, no matter the distance. Even if you cannot see the aiming dot, you know the precise spot with the 4x camera. Affordable / Cost: With this all-in-one measurement solution, distances, angles, and data memory are all together, eliminating the need to purchase and transport around multiple devices. Measurement Data Collected in DXF Format: Collects and stores 3D measurement coordinates using the Data Capture in DXF Function. Export the DXF formatted files to familiar CAD programs over WiFi. Point Data Recall: Point measurements are saved and stored and are easily accessible at any time, keeping you organized and on top of your measurements. TruTargeting: Integrated red dot visual indicator and high powered camera help guarantee what you aim at is what you measure, every time. Helps accurately target the spot you measure too, every time. Integrated MapStar Angle Technology: Easily obtains missing line measurements between two points at any angle with this integrated technology.